Foodland Flyer valid from Friday, February 06, 2015 to Thursday, February 12, 2015. 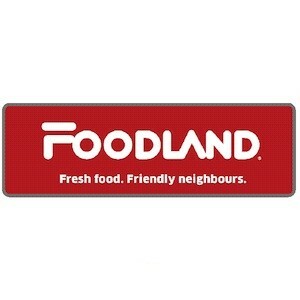 Save money on groceries this week while shopping at Foodland. Sale on items including fish, cheese, flour, crackers and more. Cut from Canadian AA or USDA Select Grade Beef or Higher, 10.96/kg $4.97 /lb. SAVE 3.02/lb. Back Attached, 4.39/kg $1.99 /lb. SAVE .57/lb. Extra Fancy Grade, 5.49/kg $2.49 /lb. Product of Mexico, 8.36/kg $3.79 /lb. Product of Chile, No. 1 Grade, 6.59/kg $2.99 /lb. Value Pack, Fresh, 11.00/kg $4.99 /lb. Value Pack, Fresh Never Frozen, 13.21/kg $5.99 /lb. Frozen, 454 g, 15.41/kg $6.99 /lb. ea. Air Chilled, 22.02/kg $9.99 /lb. Value Pack, Cut from Canadian AA Grade Beef or Higher, 19.82/kg $8.99 /lb.